I’ve been letting go slowly and consistently for almost 10 years. I started with food, letting go of animal protein and milk to reduce stress and inflammation in my body. Then focused on stuff and clutter, letting go of about 50% of our stuff, and then came the debt and all of my beliefs around money. I let go of thinking that owning more was the answer. I let go of thinking that I would always have student loan debt, credit card debt, and a car loan. All of that letting go set the stage for a happier, healthier life and more letting go. 4 years ago I let go of a long career in sales and advertising to make a business of my own. 2 1/2 years we let go of a 2000 sq. ft home and most of the furniture inside. We let go of several bedrooms, an office, big kitchen, dining room, living room, family room, garage, attic, shed, and yard, and moved into a 750 sq. ft apartment with no storage. We let go of even more stuff and the idea that downsizing, and living with less was a step in the wrong direction. We let go of the idea that what we owned defined who we are. We don’t miss any of things we let go of, and we are happier and healthier than we were when we had much more of everything. The more I hear about struggles around letting go, the more I think letting go is not the problem. The problem is thinking about letting go. I might need that someday. My children might want that. It’s a waste of money to let go. I should save it just in case. It’s too late for change. We convince ourselves that letting go is too hard. What if we changed our focus and started thinking about what’s on the other side of letting go? Don’t those things sound better than holding on? If you struggle with letting go, ask yourself if letting go is really the issue, or if the issue is your thoughts about letting go, thoughts that might not be true. 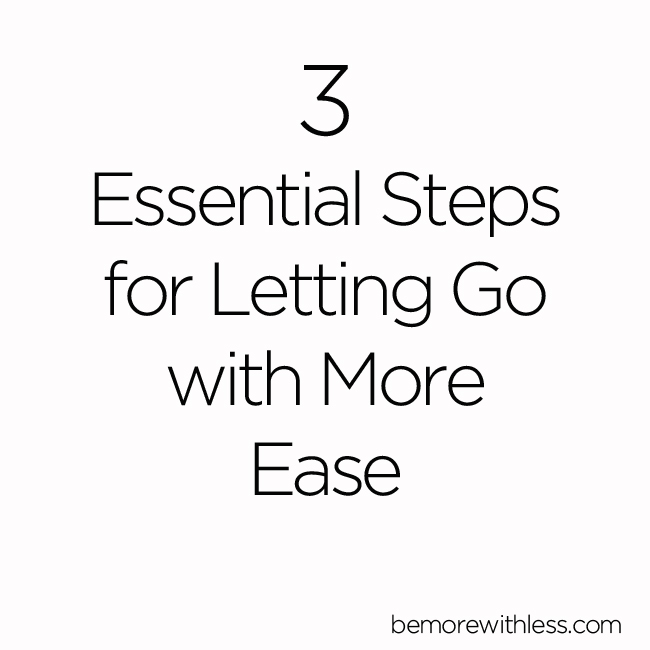 Then try these 3 essential steps for letting go. Why is it important for me to keep this? What is the worst thing that will happen if I let go? Is it making me happy to hold on? What’s on the other side of letting go? How do you really want to spend your time? 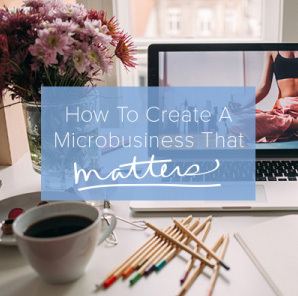 What if you got rid of so much stuff that you could live in a smaller space, spend less on living expenses, and free up time taking care of a bigger home? If you had the freedom to work less, or work more doing something you really cared about, how would that impact your health and relationships? 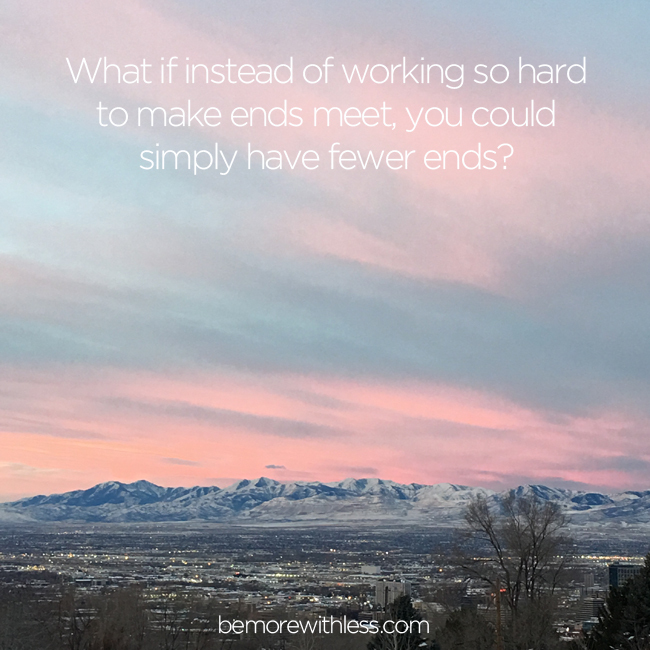 What if instead of working so hard to make ends meet, you could simply have fewer ends? Start with the easy stuff, and go slowly. 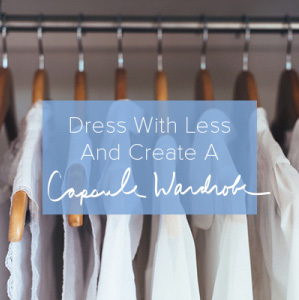 Build your letting go muscles by donating clothes that don’t fit, kitchen appliances you don’t use, and stuff you’ve collected for sports or hobbies that don’t interest you anymore. Noticing the benefits of letting go of those easier things will strengthen your muscles to let go of something more challenging. If after a few weeks, you notice you feel a little lighter, and are enjoying more space, or that you don’t miss the items you gave up, let go again. Give these three steps a try, and see for yourself if letting go is as hard as you think. Don’t be surprised if you find out that letting go is much more rewarding than holding on. I am almost finished a huge whole house purge and I really don’t miss anything. Every once in a while, I’ll go to use something or wear something and remember I got rid of it but then I’ll either remember that it was not quite right or realize that I don’t really need it and I have something else that will do perfectly well instead and it’s fine. I’m actually ready to go back over some areas and let go of more! 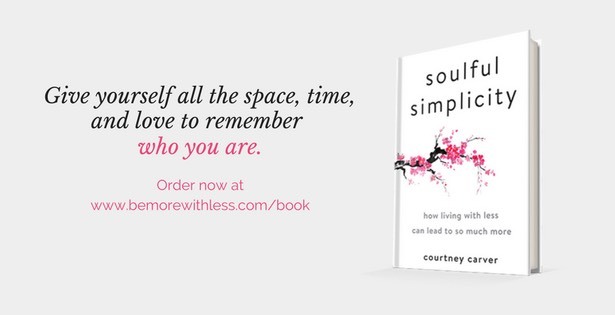 “What if instead of working so hard to make ends meet, you could simply have fewer ends?” is such a great line, Courtney. We’ve learned that as my wife and I got out of debt this year. Thanks for the great post. You’re onto something with this article that is striking me deeply and profoundly. I’ve been questioning certain belongings as to why I’m feeling it’s time to let go when seeing it from the angle of why I’m still holding on is more empowering and assisting me with the answers to come forth from my subconscious and heart. I’ve been feeling the need for a shift to occur within me. For changes to happen. For me to be real and honest and true to myself. I’ve been asking for the answer and it led me to this article. I want to be more present and grounded, to truly feel my mind and body connection rather than spaced out because of the ongoing distractions that surround our human race. I want to let go of security. I want to challenge my beliefs, to change my perceptions, so that I may think new thoughts that lead to new opportunities, friendships, passions, time well spent, giving back and a legacy that I can be honored to leave this lifetime with. Courtney, thank you for this post today. We are in the process of a significant right sizing from a very large 4 bedroom “mc mansion” to a 2000 square foot mid century split level in an effort to get my husband 15 miles closer to his office, reduce our carbon footprint and live more in line with our values of fewer commitments / less stuff /more time for a healthier life style. As a professional organizer I’ve supported many people in downsizing their lives over the past 9 years, but it’s a different game when you’re playing it yourself and I am amazed by what a challenging process it can be at times. Your post today came at the right time for me, as I begin the peeling away of yet another layer of things I thought we’d need in the new house. I’ve been actively identifying discards and releasing for weeks and every day I notice more we can live without. It’s very much about “building strength” as you discuss above and my discarding muscle is getting stronger every day. I’ve noticed the process has been made easier by bringing some fun to it, for example my husband and I, thanks to the eBay app, have become eBay buddies, listing and selling discards like his 30 year old KISS magazines, a leather coat from college and Star Wars pez dispensers from when our kids were little. It’s also been fun to match special items with special people, like the new blue suitcase I’d only used once that I passed on to my son’s girlfriend yesterday. What was most fun so far was trading painting services for a PacMan arcade game in my basement. My painter was so excited about having that game for his rec room and I was so excited to not have to own it any longer! As I begin the next phase of peeling away I will continue to remind myself about 1) how many times I’ve changed my mind of what I can and can’t live without, 2) how much I’ve released and 3) how much lighter I feel with less. Thanks again for your inspirational message and blog and happy holidays to you and yours. We are used to having a lot of stuff most of the time. Downsizing has its advantages. I live in a small apartment and I save on electricity, water, and I also save money by not having to furnish a big place. It’s reassuring to read that it took you a long time to gradually let go of stuff! One step at a time. The nice this is that it becomes addictive… the more I simplify, the most I want to simplify. Thank you for sharing this! Be more with less…this really is for me…it struck a chord…I have so many things and have been thinking of letting go for the longest time…it’s time! Really good, practical, sound advice.